Data is your most valuable asset. As organizations move up the digital maturity curve, they increasingly focus on big data and analytics projects that can help create a single user view and deliver actionable insights to relevant stakeholders. 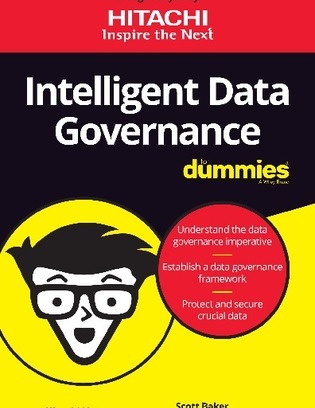 This book, Intelligent Data Governance for Dummies, explains how intelligent data governance solutions that extend across your private and public cloud data footprint can help drive more business value from your data and simplify compliance for your organization.